Before you purchase your next box of crackers or cookies with a “zero trans fat” or “trans fat free” label, take a look at the ingredients list. While many food companies have eliminated partially hydrogenated oils (and the resulting trans fats) from their products, the replacement, interesterified fats, may not be much better. Why Interesterified Fat – and What is it? 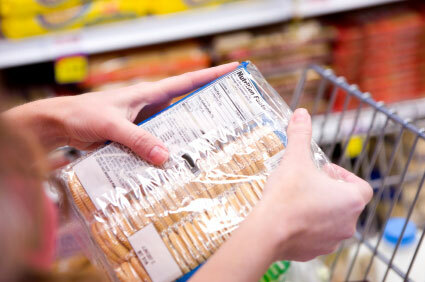 Since 2006, nutrition facts labels on packaged foods have been required to list the amount of trans fat in the product. This led food companies to look for ways to remove partially hydrogenated oils (and the resulting trans fats) from their products. Their answer to the demand for trans-fat-free products is interesterified fats. Interesterified fat is made by combining a solid fat (containing saturated fatty acids) with a liquid fat (vegetable oil containing unsaturated fatty acids) to create a product that behaves like saturated fat in food preparation, but lacks the “bad” effects of saturated fats or trans fats on blood cholesterol once it’s consumed. It is too early to tell whether interesterified fats are safe for regular consumption. Some research suggests that they are no better than trans fats, having the same effects on blood cholesterol (lowering the good HDL and increasing the bad LDL), as well as raising blood sugar and lowering insulin levels, which could increase the risk of type 2 diabetes. Where Would I Find Interesterified Fats? Most likely, in the same places we used to find partially hydrogenated oils and trans fats – processed baked goods, spreads, and frozen convenience foods. Since there is no specific labeling requirement for interesterified fats, you would not see it on the nutrition facts label. Instead, review the ingredients list for “interesterified” fats or oil. If “fully hydrogenated vegetable oil,” “palm oil,” and/or “palm kernel oil” are listed, the product may or may not contain interesterified fat. And of course, be wary of “no trans fat” or “trans fat free” statements on the package. Both trans fats and interesterified fats were developed to meet the demand for convenient, packaged foods with a longer shelf life. Common sense will tell you that any foods that can last longer than their homemade versions need additives in order to delay their “extinction”. These same types of foods tend to also be high in total fat, salt, and sugar, as well as other food additives. Why risk your health by consuming things we have a hard time pronouncing? Instead of eating out of a box, nourish your body with the least processed foods possible, whether simply snacking on fresh fruits and vegetables or making your own meals from fresh ingredients.